FLORAL SELF TIE BOW TIE BURGUNDY ON TEAL. Floral self tie bow tie is made from cotton fabric and has a very charming floral print on teal blue. Great for a wedding or as a gift. Adjustable to fit neck sizes 15"-18". 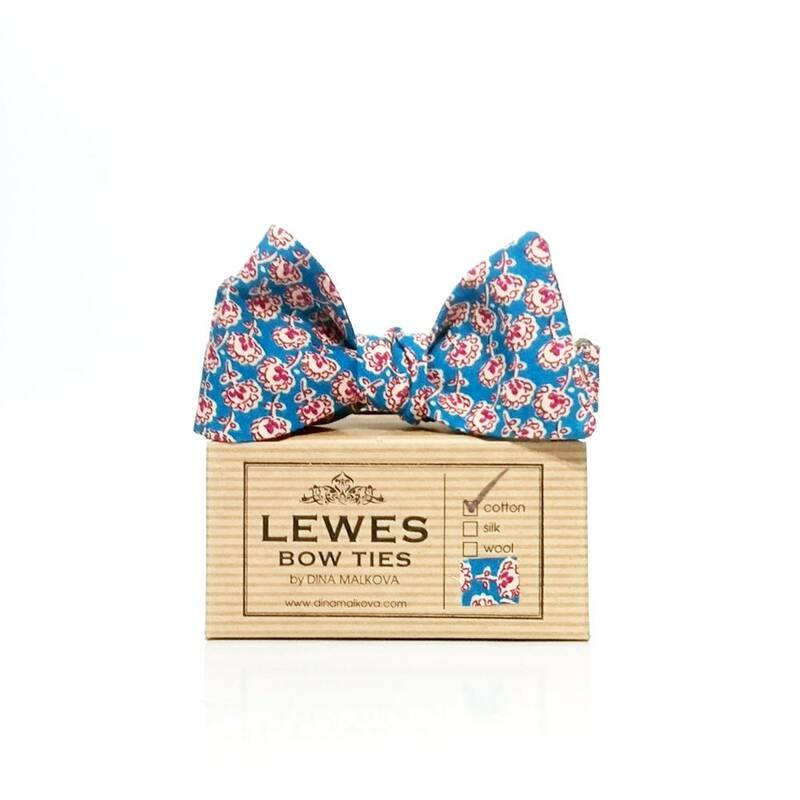 Lewes Bow Ties are hand made in our Atelier in Lewes. 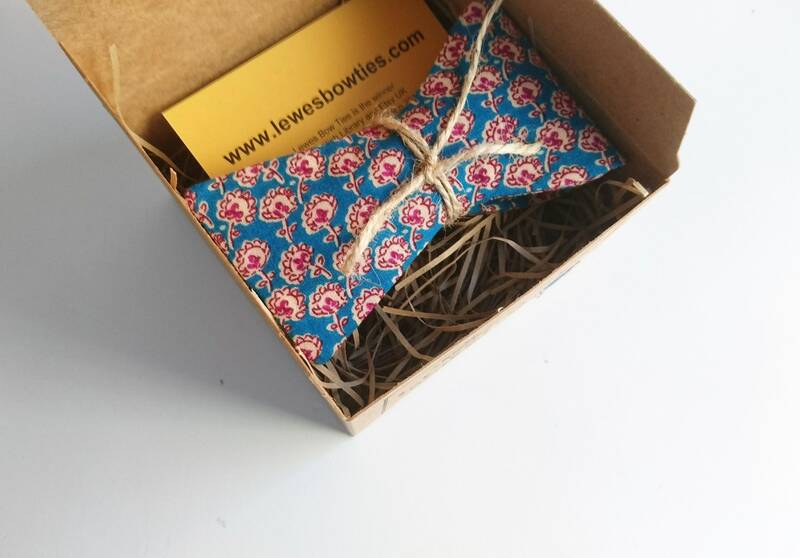 Each bow tie is packaged in a vintage style gift box made of recycled paper.